It's no secret that Sandals caters to couples in love. 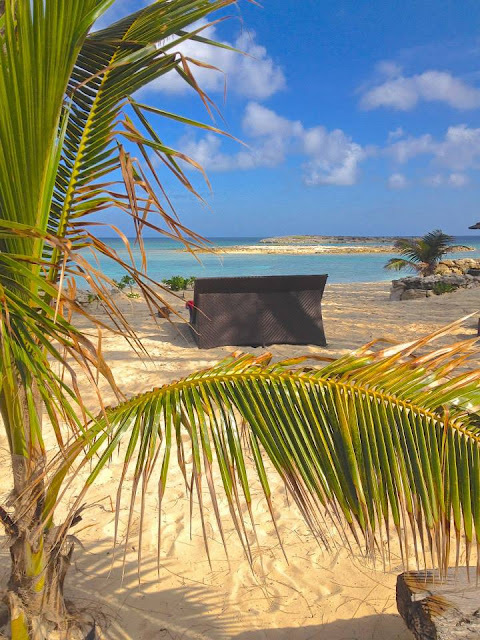 From the strategically placed double hammocks amidst private gardens, the double beach beds, or the fact that every single room has a king sized bed-- there is no getting around the fact that whoever you bring to Sandals is someone you will want to share these things with. Their motto is "Love Is All You Need" because everything else is honestly included. You can show up, toss your wallet into the safe, spend a week wrapped up in the arms of the one you love, worry free. It's true. I've experienced it many times and the feeling is wonderful. 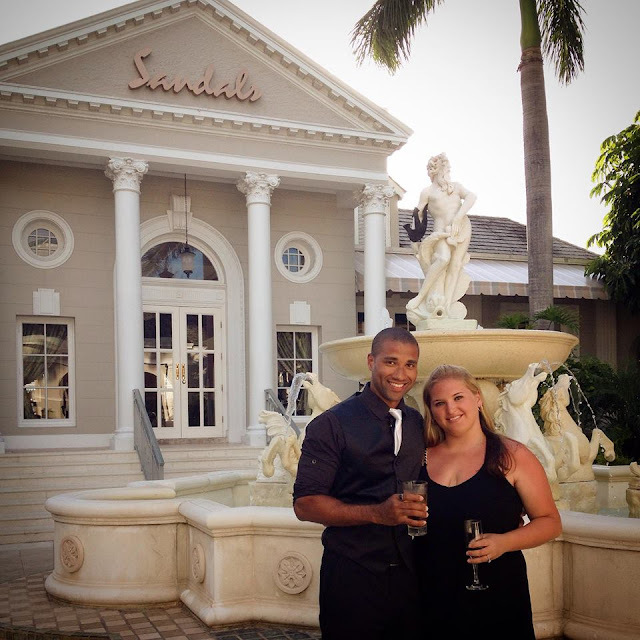 In June, my husband and I were blessed to have been able to spend our wedding anniversary at Sandals. 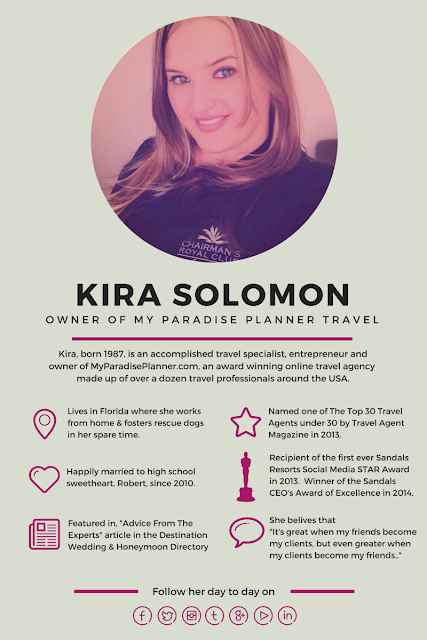 Naturally, we had planned it all ahead of time and knew we wanted to make it special, so we pulled out all of the stops, many of them mentioned below. After we returned home, my husband turned to me and said "I want you to know, I fell in love with you all over again on this trip." He had said the words I'd been thinking in my head over and over again throughout our stay. 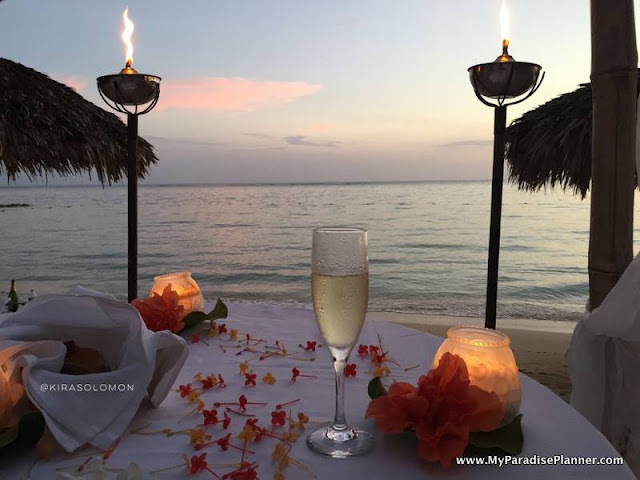 It made me realize just how important a role Sandals Resorts plays when it comes to creating lasting travel memories for "two people in love". Like a suitcase, when it comes to your heart, you always end up coming back from these trips with way more love than you originally brought down. But it's not just love for each other, its love for the entire experience. So in order to help others re-create some of the most "awww" moments we've had at Sandals Resorts, I've come up with a list I'd like to share with you all. I've worked with clients time and time again who see a suite they fall in love with right away. Sometimes budget allows for that suite and sometimes it doesn't. But if it does, I always recommend booking that suite. If you spend far too much time browsing the Sandals website envisioning yourselves floating on that raft outside of your swim-up suite, swimming together in the privacy of your own personal plunge pool, or snuggled up in that tub for two on your balcony... then you should definitely book that suite you have your heart set on. Nothing else will compare to the experience you've created in your mind and when you arrive and find yourself doing all those things you've been dreaming about with the one you love, you'll be grateful you splurged a little. 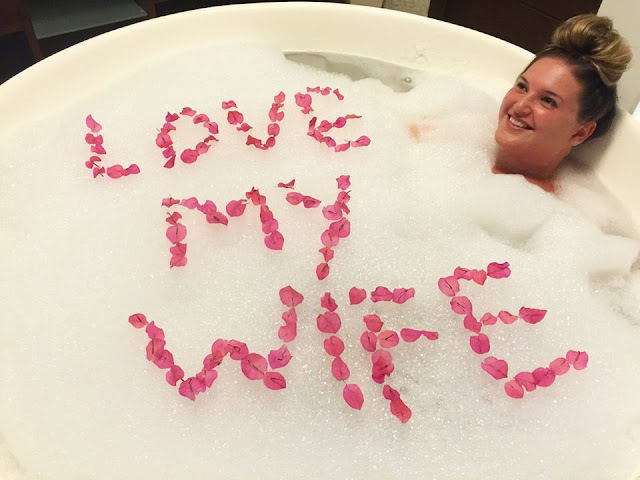 Enjoying a bubble bath in our soaking tub, compliments of our butler. Sure, not everyone loves massages, but imagine laying next to your partner, listening to the waves crashing around you as you feel the tension rolling away with them. The best part? When it's over the massage therapists will place your hand in your partner's hand before leaving. There is something so sweet about this simple gesture. Being able to lay there, hand-in-hand with each other while you let the reality sink in-- you're in paradise together. 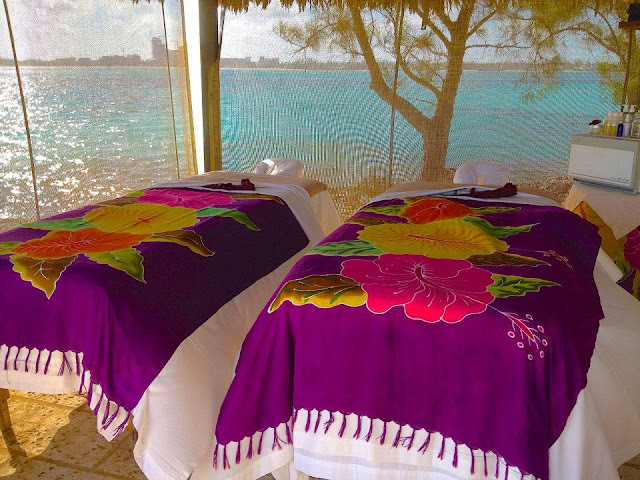 Tip: We always pre-book our couples massage for the first or second full day so we can start our vacation relaxed and so if we get sunburn during our trip the massage won't hurt. If you pre-book and pre-pay for the service before you go. Just don't forget the service charge! Spa attendants are allowed to receive tips at Sandals. 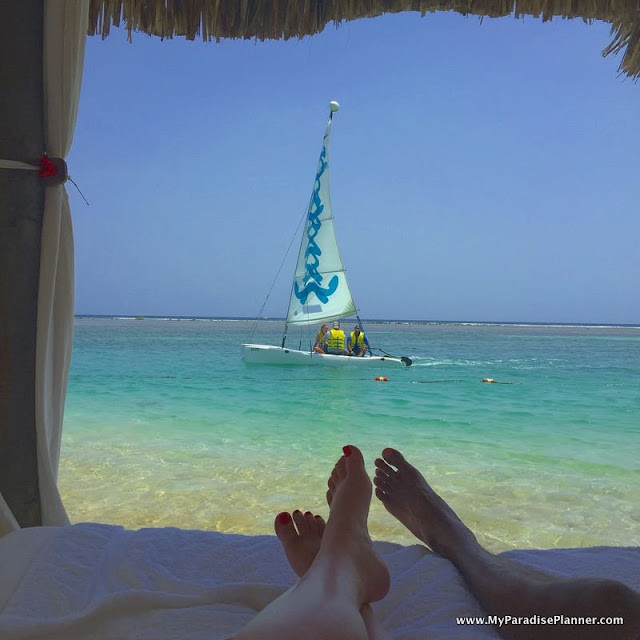 This specific option isn't available at every single Sandals Resort nor are you able to pre-book it, but for the ones that do have them, these are a perfect way to reconnect with each other. 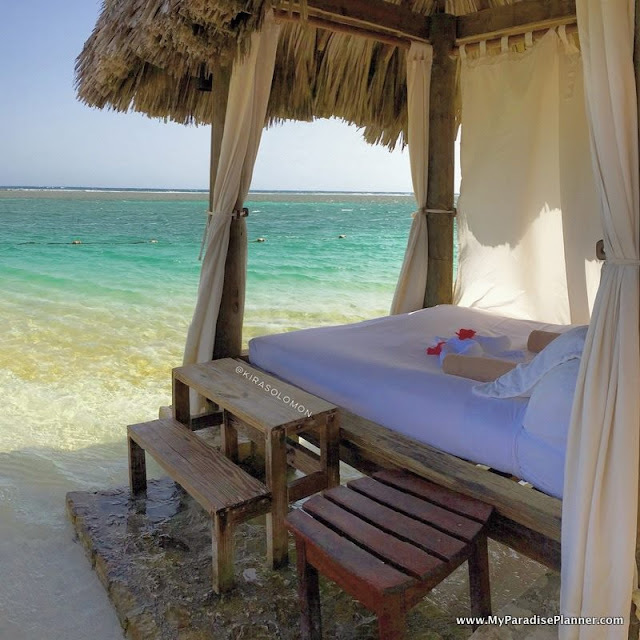 We booked ourselves for our anniversary day in this cabana. We had it from 9am - 5pm and it came with a butler for that time frame. He brought us breakfast, lunch, drinks, sun screen, and anything else we asked for. The best part about it was that were able to lay in each other's arms in the shade while listening to the waves crashing around us and even took a relaxing nap. We were in such a state of bliss we had the butler rebook us for the cabana for the rest of our trip. We will never forget that experience and hope to recreate it on our next trip to Sandals Resorts. This experience showed us the true definition of being "Sandals spoiled"! 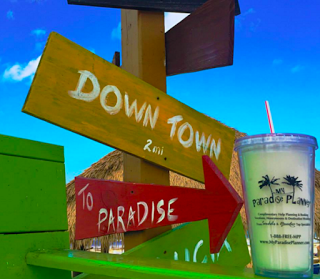 Tip: No beach cabanas at your resort? There are still plenty of places to hide away for comfort and privacy. But when you aren't using those spaces anymore, don't leave your stuff there to hold it. Everyone wants a chance to experience it too. If you want the best seat in the house for dinner, consider booking a candlelight dinner. Sitting there on the beach, watching the sun setting while the waves lap near the shore just a few feet from your own while your personal waiter serves you dinner is worth every penny and then some in my opinion. My husband even took it a step further and created a romantic playlist for us that he played on his cell phone while we dined. It was the perfect ambiance. Tip: You can pre-book and pre-pay for this before you travel! Check local sun-set times before booking. 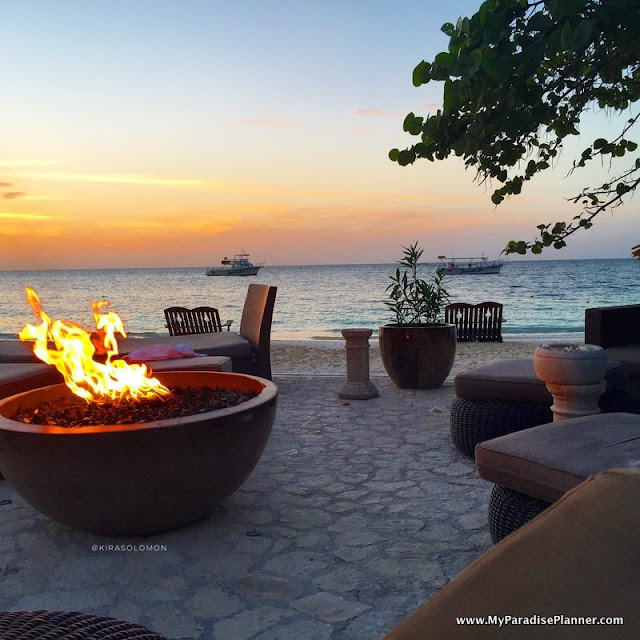 My favorite (free) way to enjoy a sunset at Sandals is to find one of the fire pits on property and cuddle up. Watch the sun dip behind the horizon as the sky lights up in magnificent colors and the fire dances in front of you and you hold each other in your arms. It's the epitome of romance. Tip: Don't wait until it's sunset to grab a seat. You likely won't find one available. Instead, head to the fire pits about 30 minutes before sunset and use that time to sit together and chat about all the fun you had together that day. Also check the cushions before you sit. Sometimes they're wet from an afternoon rain shower. 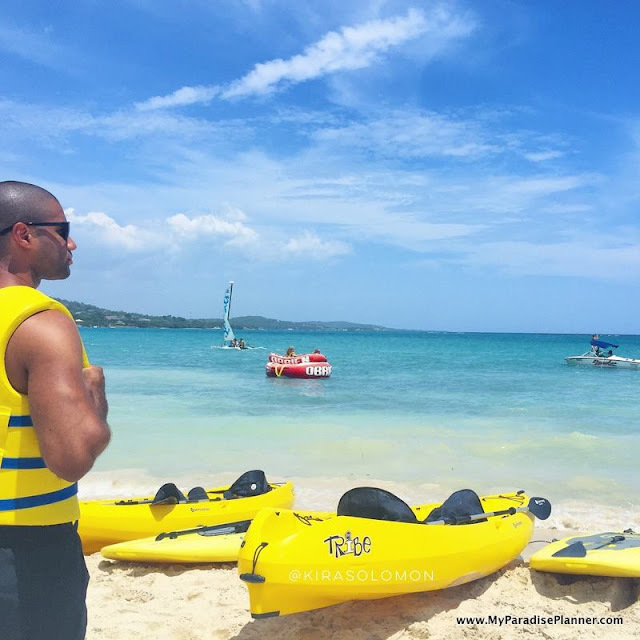 Sandals includes activities too, which means it won't cost you anything extra to try new things like snorkeling, sailing, kayaking, tubing, and more. My husband loves to sail on the hobie cats at Sandals and because it's included he takes them out often. We've also snorkeled together and seen plenty of marine life and have even tried tubing. It was a blast. Or consider paying extra for a tour off resort. Snorkle with wild sea turtles. Swim with the pigs. Zip line over lush tropical forest. Bobsled in Jamaica. Ride horseback on the beach. 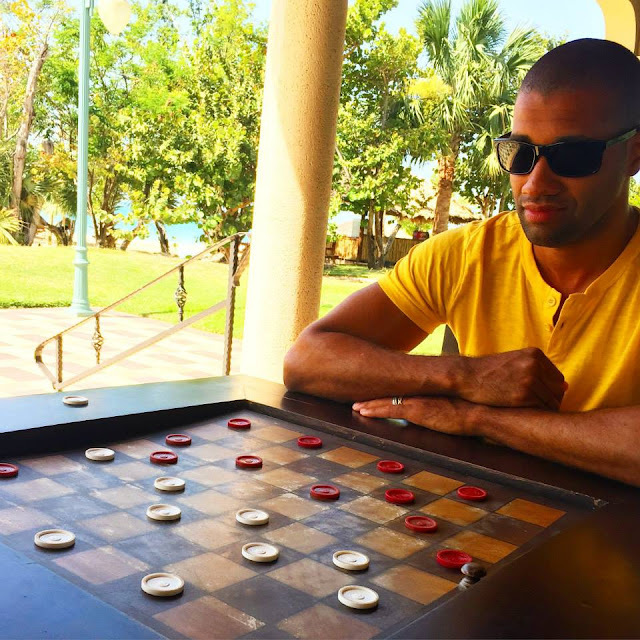 There are plenty of things you can do to enhance your vacation fun. We've tried it all together and it helped us create so many new memories as a couple. The fact that those add-ons are unlimited and we didn't have to pay extra for them made the experience even better for us. Tip: Book your water sports activities early in the day. The waves aren't as rough and the weather is normally clear. Then you have the whole day to sit back and relax on land. Don't want to do anything? Have at it. Sometimes it's all about just being just doing nothing at all together. 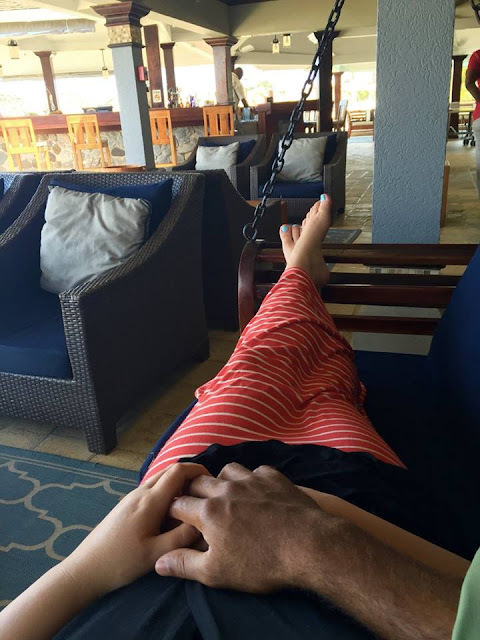 Find any one of the dozens of romantic spots around the resort and take a moment to relax in each others arms and reconnect. Some of my fondest memories of Sandals stays were when we didn't say or do anything but just enjoyed each other's company and the beauty of whatever was surrounding us. Make sure even with all the go-go-go of vacation that you're taking a moment to just be still and calm and in the moment with each other. What could be more romantic than re-tying the knot at Sandals Resorts? Sandals has one of the best wedding programs in the industry. 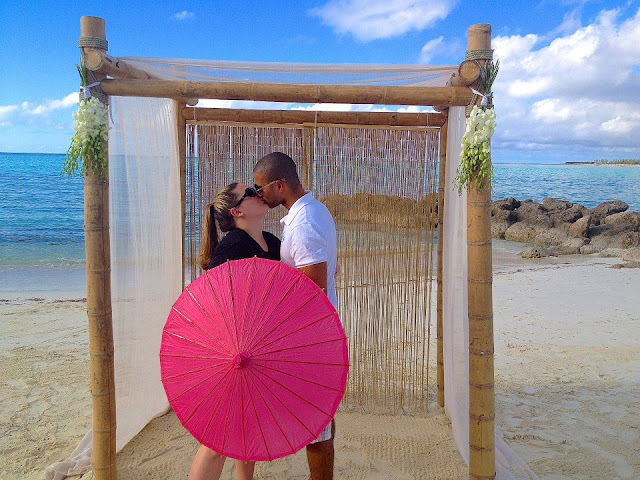 Their ReTie the Knot (vow renewal) package is not as expensive as most would think. It's only $300 or it's free if you bring 4 other couples with you on your trip. 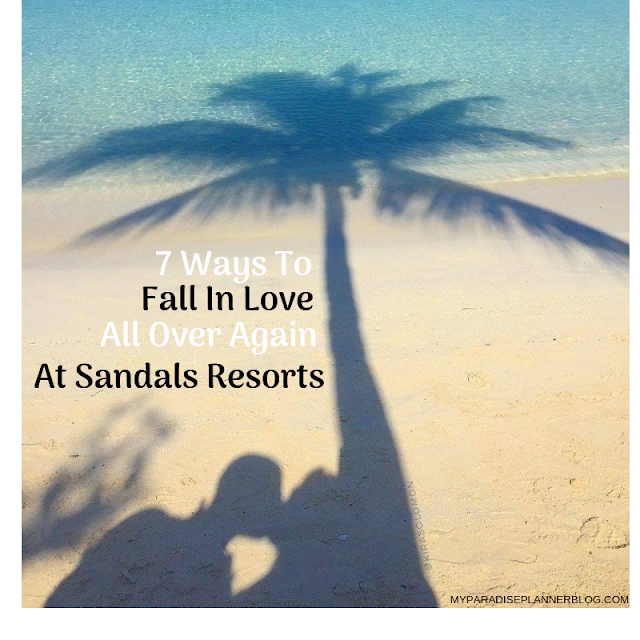 Plus, Sandals has a "free anniversary night" promotion that you can also take advantage of. If you have never experienced walking down an isle made of sand with the ocean as a backdrop, you may want to consider a vow renewal on your next stay. You don't have to invite anyone, or you could invite everyone you know. But making it about the two of you reaffirming your love and commitment to each other makes any trip even that more sentimental. Sandals will always hold a special place in our hearts [click here to read our Sandals story and see why]. Each time we go down to the resorts we come home beaming with love for Sandals and each other. We hope you all do too! But, the very best way to book is with a Sandals Resorts Preferred Top Specialist, like me. If you already have a preferred specialist you're working with, make sure to contact them. If not, please consider booking your next Sandals Resorts and Beaches Resorts vacation with me. My Sandals award-winning services are all-inclusive too, as they are 100% free for you to use. The price will be the same you'd get by booking anywhere else. The difference is you'll be getting my valuable expertise before, during and after your trip.